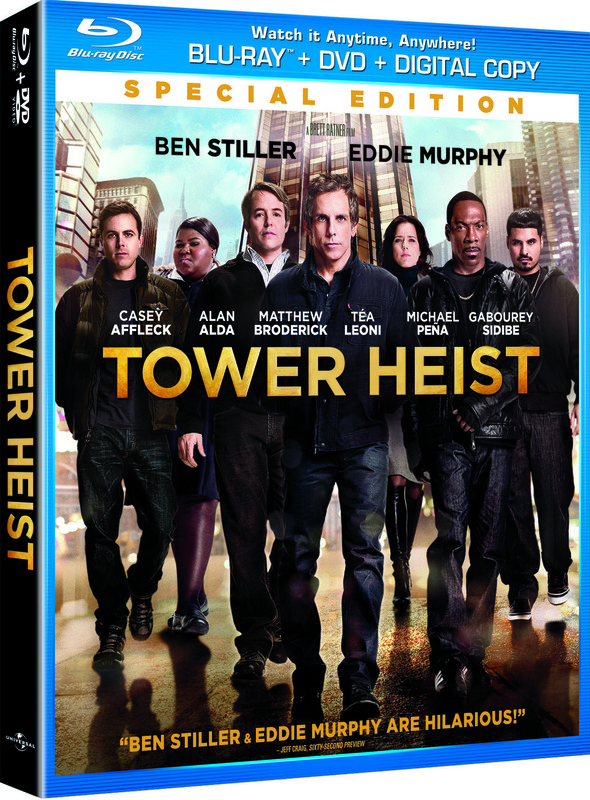 Tower Heist arrived on Blu-ray, DVD, and On Demand Tuesday, and I had the chance to view the Universal release on Blu-ray. The film was directed by Brett Ratner and stars Ben Stiller, Eddie Murphy, Casey Affleck, Alan Alda, Matthew Broderick, Stephen McKinley Henderson, Judd Hirsch, Téa Leoni, Michael Peña, and Gabourey Sidibe. Ratner is one of the worst directors in Hollywood, and is frankly one of the biggest douches around. Despite his lack of artistic and personal integrity, Tower Heist is much better than expected. Heist movies are my one of my favorite genres. They range from the comedy of Ocean's Eleven, to the action-packed drama of Heat. Tower Heist falls on the side of comedy. The story follows a group of hard-working hotel employees who discover that they have lost their pensions (and in some cases life savings) when the building’s wealthy owner, Arthur Shaw, is accused of fraud. Placed under house arrest with $20 million unaccounted for, the workers decide to steal back what’s rightfully theirs and devise a plan to break into his heavily guarded penthouse suite at the top of the hotel. The film gets off to a slow start, but once it gets going, the comedy will have you laughing hysterically at times. The opening act primarily focuses on building the characters and the motives for the story. This is important because the characters are one of the best parts of this ensemble comedy. The entire cast was great, but my personal favorites were Stiller, Murphy, and Broderick. Murphy has been in a bit of a slump, but I was reminded how funny he can be. Broderick was funny in an understated and dry way. The accents by Sibide and Stiller were a little forced, but I have heard worse. There are so many funny moments throughout the film. The last action sequence takes place against the backdrop of the Macy's Thanksgiving Day Parade. I have always loved the colors, and this is the only time I can think of that the parade was used in a situation like this. 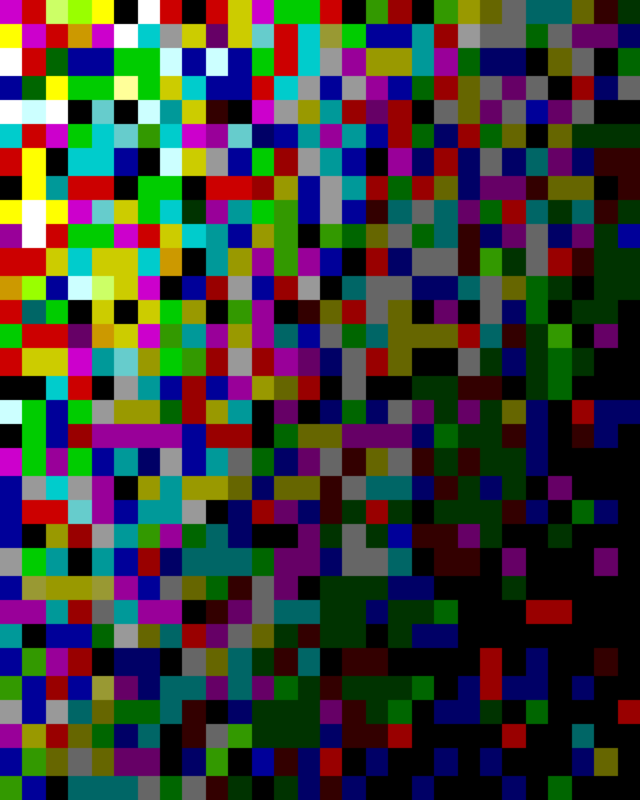 There are tons of cool twists and turns, making this sequence a lot of fun. The Blu-ray comes with a lot of special features. There are two alternate endings that I can completely understand why they were cut. The best part is the long "Plotting Tower Heist" featurette that has cast interviews. I also loved "Brett Ratner's Production Video," even though I did not think I would. Luckily, it was not just Brett walking around narrarating. It was cool to see what went into some of the scenes. The gag reels are as funny as some parts of the film. If you overlook the cliched story points and plot holes, you will enjoy this film. Think of Tower Heist as a form of escapism.